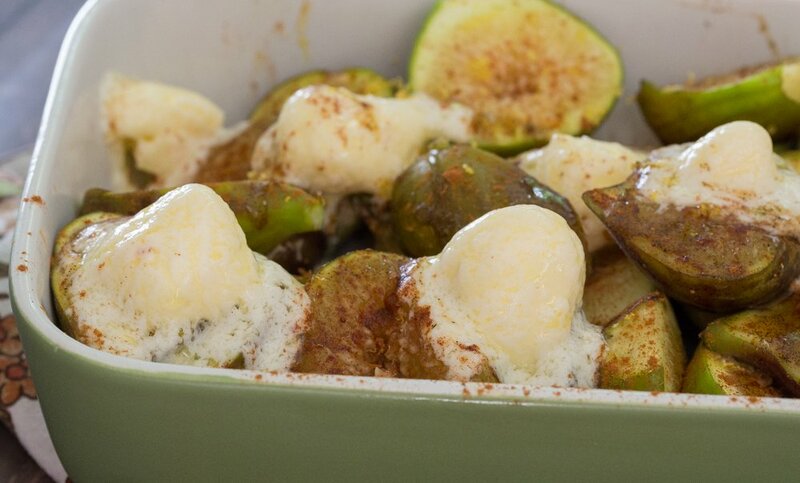 As “Fig Week” marches on, we’ve got another easy fig recipe for you. It’s a luscious dessert (that doubles as a naughty breakfast) and is a snap to make. Once again, we deploy our trusty hard-working toaster oven. Preheat the toaster oven (or regular if that’s what you’ve got) to 400°F. 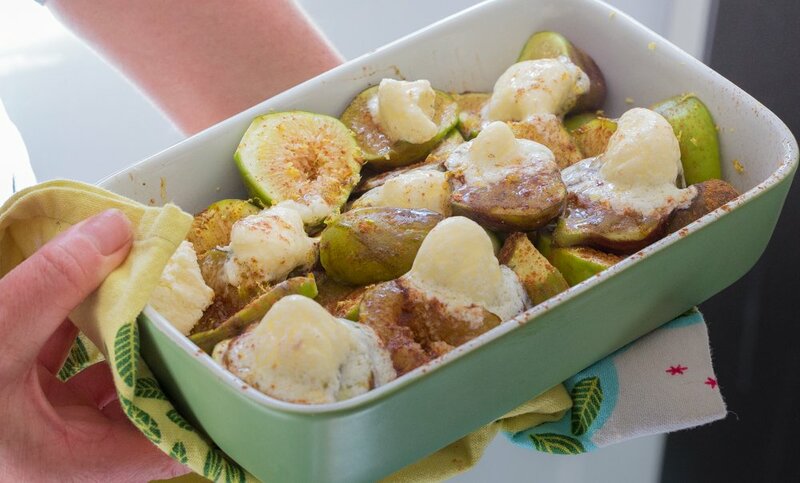 Slice figs in half (in quarters if they’re big) and put into a baking dish. Top with spoonfuls of mascarpone. Once you’ve dolloped to your heart’ts content, add a dash of freshly zested lemon, a swirl of vanilla bean paste and a dusting of cinnamon. This will bake fast — give it ten minutes or so. You want the mascarpone to just begin to break, as the fat starts to separate out of the cheese. Just enough, and you’ll have lovely golden-colored beading on the melting mascarpone, and the figs will be warm. Serve without further ceremony or adornment, as this dish has all it (and you) need.